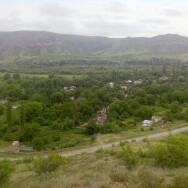 The village of Vurgavan is in the south of Artsakh’s Kashatagh region, about 40km south of Berdzor. The village was liberated in 1993 during the Artsakh liberation war. When I first heard the name Vurgavan, a question popped up: why Vurgavan, where does that name come from?